Maybe boiling and coloring Easter eggs is all you can muster in the kitchen this weekend. If that's the case, fear not: there are plenty of Salt Lake City restaurants offering special Easter menus, brunches and dinners to help you enjoy the holiday. 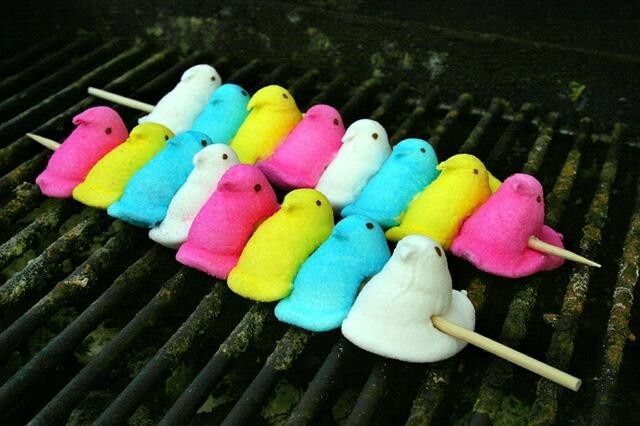 These are the ones that contacted me with Easter menu information. No need to hunt, just take your pick! At Bambara, Executive Chef Nathan Powers is cooking up something special for Easter this year. On Sunday, May 5, 2015, from 10AM to 2PM guests can enjoy a tasty Easter brunch buffet, with specialties including Powers' delicious lamb hash with poached egg and mint béarnaise sauce, grilled king salmon with lemon caper-dill sauce, and a carving station with mustard glazed ham and organic turkey breast. Pastry Chef Rebecca Moore has whipped up delicate pastries and her own house made granola. The cost for Bambara's Easter brunch buffet is or $46 for adults, $20 for children ages 5-12, and $36 for senior citizens, 65-years-old and over. There is no charge for children under the age of 5. Call 801-363-5454 for reservations. "Our all-weekend brunch has been super popular, so it seemed like a natural to offer it on Easter Sunday," says Faustina manager Tyler Jolley. Faustina will offer hot and cold entrees such as shrimp cocktail, breakfast sausage, vegetable lasagna, meat and vegetarian frittatas, a carving station with ham, turkey and Prime rib, a selection of salads, plus pastries and desserts, priced at $35 for adults, $15 for children under 12 and free for kids under 3. Tyler Jolley has also created a special $3 Mimosa bar that includes a choice of juices: orange, blood orange, pomegranate, peach, pear, cranberry, grapefruit or pineapple. Call 801-746-4441 for reservations. Chef Robert Perkins has cooked up a special Easter brunch at Franck's featuring selections such as heirloom tomato pie, Durham Ranch Wagyu sirloin "steak & eggs," croissant French toast, kettle corn deviled eggs, and more. The cost is $55 for adults, $25 for children 12 and under. For reservations, phone 801-274-6264. Log Haven restaurant will offer an Easter Sunday "Supper" from 12 noon to 5PM priced at $43.95 per person. The special four-course menu includes items such as fresh spring asparagus soup, grilled Duroc pork chop, lemon-rosemary chicken, pan-roasted Scottish salmon, Angus New York Steak, English pea and mushroom risotto, plus a selection of desserts. Phone 801-272-8255 for reservations. Easter brunch at Tuscany will run from 10AM to 2:30PM and feature an omelet bar, waffle station, 2-way eggs Benedict, honey-glazed ham, Prime rib, a seafood bar, salads, gourmet pastas, house-made pastries and more. The cost is $50 for adults, $20 for children 12 and under. Call 801-277-9919 for reservations.